Mariell's best-selling Rose Gold ridal brooch is this magnificent geometric floral design bursting w..
Mariell's best-selling bridal brooch is this magnificent art deco scroll design bursting with sparkl..
Mariell's best-selling bridal brooch is this magnificent geometric floral design bursting with spark..
Mariell's best-selling wedding brooch is this magnificent geometric floral design bursting with spar..
For an enchanting bridal brooch at an exceptional price, wear Mariell's best-selling stunning etched..
After years of dreaming and months of planning, you deserve to proudly wear Mariell's elegant inlaid..
Mariell's elegant crystal rhinestone crown pin set in rich silver rhodium is a beautiful statement p.. 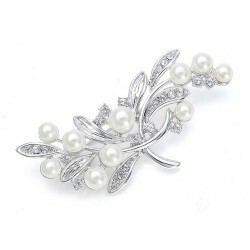 Most of Mariell brooches can be converted to fabulous hair accessories with our Comb Adapter style 3..
Mariell's elegant bridal brooch is a dazzling spray of ivory pearls accented with dainty inlaid cubi..
Accessorize your wedding gown or bridal shawl with Mariell's classic pearl bridal brooch set in silv..
Add a regal accessory to your store's jewelry display with Mariell's vintage wedding brooch. This ti.. 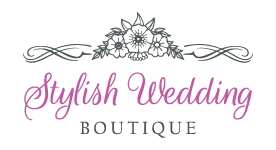 Accent a sash, bridal gown, prom dress or mother of the bride gown with the brilliant sparkle of Mar..
Accessorize your special occasion dress with Mariell's sophisticated vintage rose brooch featuring a..